At the Farmers Guardian supported Devon Young Farmers’ show and sale, beef bids peaked at £1,500. L-R: Laura Bowyer, Farmers Guardian; Becky Hurd, judge; Ed Quick, Bow YFC. Bringing together, Culm Valley, Whimple and Broadclyst, Exe Valley Group and Axminster Young Farmers’ Clubs annual shows and sales into one event, along with open YFC classes, the first Farmers Guardian supported annual Devon Young Farmers’ show and sale at Exeter Market was full of quality and passion. 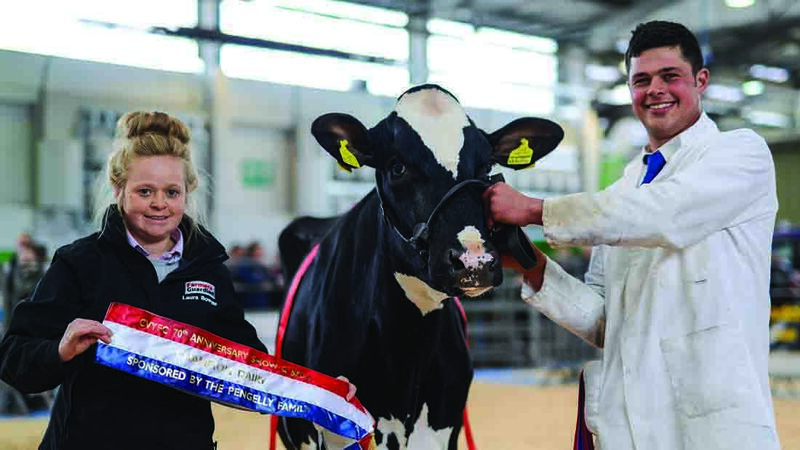 For Culm Valley YFC, previously Hemyock YFC, the original calf club and founding club of the Young Farmers movement, it was their 70th anniversary show and sale. And this tradition shone through on the day with Culm Valley YFC taking the county championships in all sections of the county pre-sale show in dairy, beef, pigs and sheep. The highest bid in the beef ring was £1,500, for a Limousin cross heifer from Ed Quick, of Loosebeare Limousins, Crediton and member of Bow YFC which sold to Nigel Batting, Uplowman. 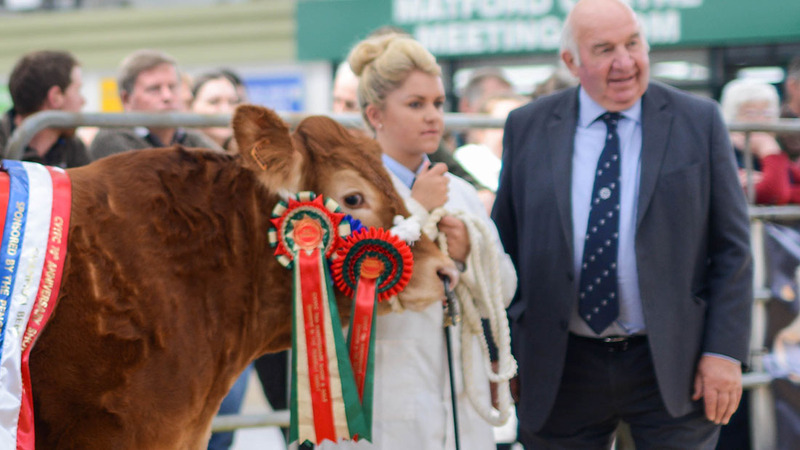 The 14-month-old heifer weighed in at 600kg and had been champion beef animal in the open classes for members from clubs without their own show and sale. 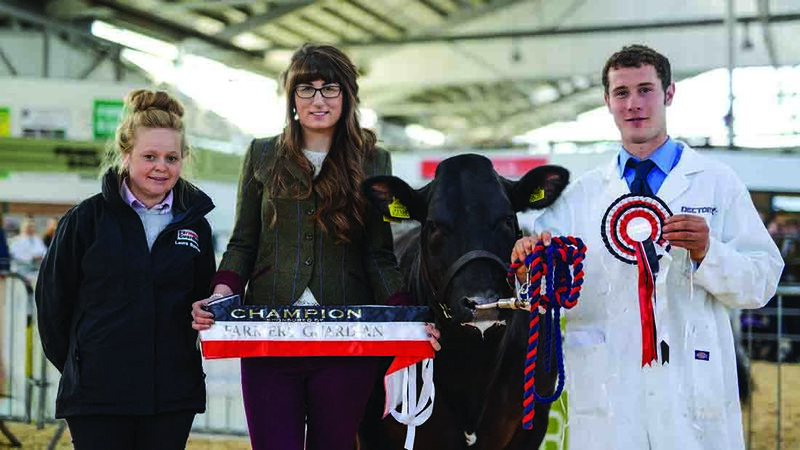 Narrowly missing out on the top money at £1,450 was a 14-month old steer, from Claire Bellew, Devon YFC county chairman and member of Exe Valley Group Young Farmers’ Club, which took the Exe Valley Group beef championship earlier in the day. It also went home with Mr Batting. Other top prices included £1,365 for a 14-month-old Limousin cross steer from Stuart Pursey, Culm Valley YFC selling to K.H. May and partners, Netherex Barton. 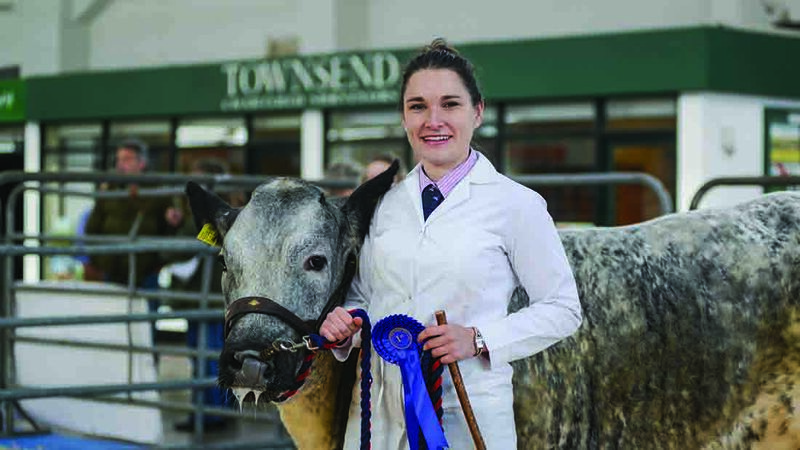 Also, Rosie Pratt of Whimple and Broadclyst YFC with a 23-month-old British Blue cross heifer which knocked down at £1,360 to Stillmans Butchers, Staplegrove. Taking the county beef championship was Charlotte Alford, Blackborough and member of Culm Valley YFC with her home-bred heifer Foxhillfarm Mama. By Guards Boomer and out of Bankdale Elizabeth, this January-2016 heifer did not change hands on the day. No dairy entries were sold on the day, but credit must go to Oliver Reed, Blackborough, a Culm Valley YFC member in his final year of membership who won the overall county dairy championship and champion of champions with the first calved Beaconhill Windbrake Annie, and out of home-bred cow Beaconhill Samuelo Annie. 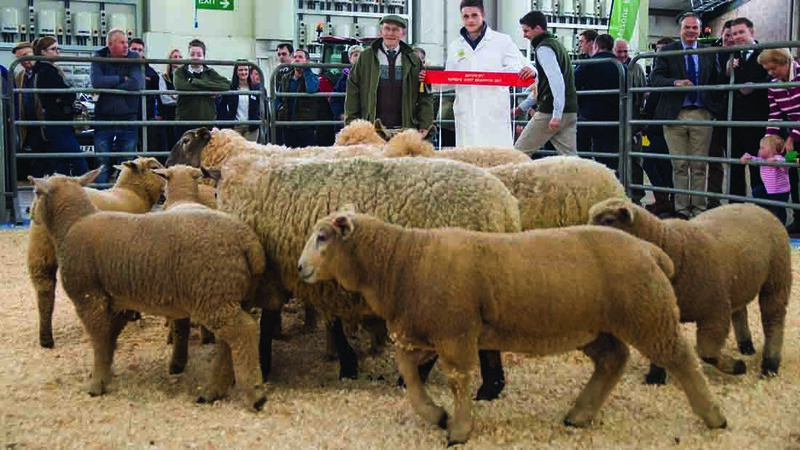 In the sheep section, the top money at £310 per outfit went to the champion pen of four Border Leicester cross Suffolk ewes and their lambs from 17-year-old Culm Valley member Connor Pengelly, Croyle. Born in February, the eight lambs weighed from 40 to over 46kg. The same bid went to sister, Georgina Pengelly with a pen of ewes and lambs of the same breed. 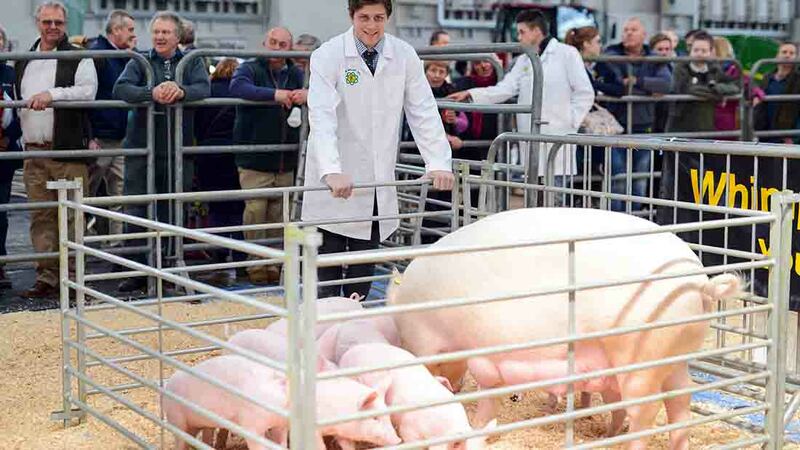 In the pigs, Stuart Persey, Culm Valley YFC with a sow and its litter of eight piglets took the top money, making £382 once the gilt, sold to R.D. and J.C. Persey, Blackborough and her piglets were sold in different lots. The gilt and her littler won the county championship on the day. Among the two butchers pig classes, Laura Sanders of Culm Valley YFC had the top bid of £154 from Stillmans Butchers. 7 steers, £1,223.57; 28 heifers, £1,121.25; 8 breeding ewes, £83.63; 227 ewes and lambs, £207.62; 6 orphan lambs, £81; 36 pigs, £76.28.